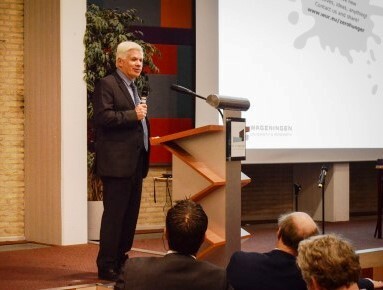 A4NH joined together with one of its newest partners, Wageningen University & Research Centre (Wageningen UR), based in the Netherlands, to co-host a thought-provoking discussion on 'The Future for Food Systems' for an audience of about 100 researchers and experts from the private sector, government, and civil society organizations. 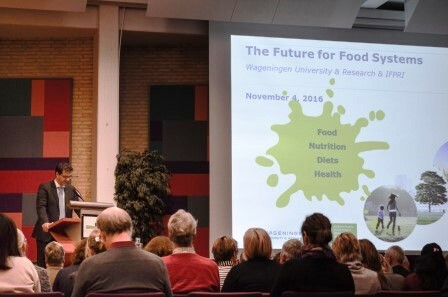 The November 4th event was organized within the framework of the Wageningen research program on Global Food & Nutrition Security. It also marked the start of the important Wageningen-led flagship program, ‘Food Systems for Healthier Diets,’ within A4NH's Phase II research portfolio (2017-2022). The aim of this workshop was to support systematic food systems research as an analytical and policy device. The workshop provided a platform for identifying some guiding principles for interdisciplinary and interactive food systems analysis, and also for deriving some common insights on the effectiveness of policy instruments and incentives for healthier and sustainable diets. * Visit the event page on the Wageningen UR website for additional background about this event, including partner contacts. Click below to view Wageningen University video on zero hunger.